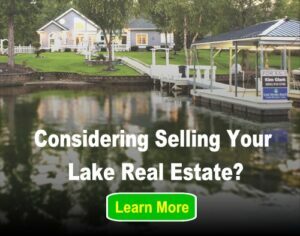 Why is my lake property displayed on your website? The properties for sale displayed on LakeHomes.com are properties listed in a Multiple Listing Service (MLS) for which Lake Homes Realty is a full, licensed brokerage member. When your real estate agent enters your property in their respective MLS, that data is shared with other brokerages that are also members of that MLS. This helps promote and market your home to other agents and the public. LakeHomes.com’s server look at this data and sort it to find lake-related properties that we then display and help to market to interested and prospective buyers. Lake Homes Realty staff writers and market research team members. Previous post: Are your listings accurate? Next post: Where are the local offices for Lake Homes Realty?